What happens when a society is run by people who are antisocial? Welcome to baby boomer America. 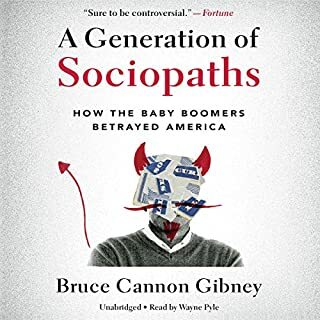 In A Generation of Sociopaths, Bruce Cannon Gibney shows how America was hijacked by the boomers, a generation whose reckless self-indulgence degraded the foundations of American prosperity. What disappointed you about A Generation of Sociopaths? After reading several reviews and the synopsis, I had the impression this book would broach an interesting topic, the psychology and possible sociopathy of the Baby Boomer generation, with a fair and balanced approach. The summary lauded this scholarly approach to the topic and a few reviews bought into that assessment. I lasted roughly five hours before shutting down this jaded, leftist, big government preaching malarkey! Decidedly leftwing when discussing a myriad of topics associated with Baby Boomer's, A Generation of Sociopaths barely disguises a repugnant zeal for big government programs, big taxation, and the whole, "It takes a village mentality," regarding every facet of life. Preaching human manufactured global warming and environmentalism like settled science; this book seeks to vilify anyone expressing a shred of skepticism toward politicians spending a fortune on often wasteful programs that produce little result. While not a Boomer myself, I sat in the car, frequently chastised for holding many of the views the author brands sociopathic. Paraphrasing a small section, the author literally paints the desire for a balanced budget and measured spending as "antiquated ideals with no basis in reality." I guess fiscal responsibility makes one an unhinged right wing nut! I find this amazing in light of the fact the author praises older generations for their conservative spirit, yet denigrates figures such as Barry Goldwater, Ludwig Von Mises, and many more right leaning thinkers, economists, and luminaries. While he does pay some negative attention to figures on the left, the political bent of the book comes across in unmistakeable fashion. Leftists reading this review, and listening to the book, will no doubt deny and rebuttal my opinion; much like they deny the bias in the modern main stream media. Thankfully we all have the right (at present time) to pick and choose our entertainment. Next time, at least have the temerity to spell out the aggressive political leanings of your argument in your book summary. Quit trying to fool your customer and reader. I would recommend this book to historians with deep interest in World War II, and the actual mechanics and daily life aboard a Fletcher Class destroyer. 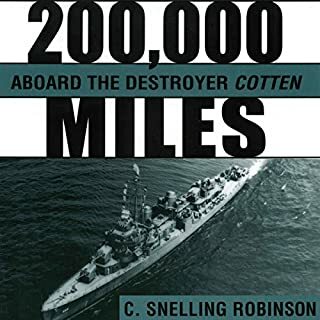 200,000 Miles recounts the three year service period of author C. Snelling Robinson in factual, straightforward detail, virtually devoid of drama or emotion found in similar works. Even when the author broaches subjects such as battle, death, or war time love, he does so in a septic, dry manner; providing the reader with factual details of the incident but little in the way of flowery language or adornment. I found the book fascinating in terms of the great wealth of information Robinson provides about the daily goings-on aboard the Cotten. A book that reads and sounds exactly as if written by a Navy junior grade lieutenant copying his daily events in a log. The ending of this book follow the format of the entire book, factual information related in a straightforward manner. You will not find any plots twists, surprise turns or "gotcha" moments. I believe James Killavey conveyed a sense of the austerity, manner, and personality of the author through a monotone reading of the material. Killavey's peformance does little to enhance the language of the book, but I really think the material requires no adornment or enhancing. I don't believe most readers of this book expect a story couched in innuendo or oblique meaning. 200,000 Miles factually recounts Snelling's adventures during WWII and Killavey plays it straight. The author's factual recount of his history, combined with the narrators monotone performance resulted in a smooth seamless autobiographical narrative that turns even battle scenes into checklists of casualties, equipment losses, and strategic objectives gained or lost. No moment in particular stood out in the narrative; with the exception, maybe, of Snelling's recount of casualties aboard several destroyers caught in a wild Pacific storm. In the end though, even that scene comes across as matter-of-fact. If possible, this book is the very personification of a WWII naval officer, mannerly, dutiful, factual and honest! What other book might you compare Dead Wake to and why? Dead Wake reminded me of Glenn Beck's Miracles and Massacres or Dreamers and Deceivers, a highly entertaining historical narrative. I found the book engrossing due to Erik Larson's excellent definition of the individuals involved in the sinking of the Lusitania, both infamous and famous, popular and unheralded, rich and poor. I found the now hundred year old detail about passengers lives and personalities enthralling. Larson and narrator Scott Brick brought the victims and transgressors to life, and humanized an event that previously existed in my memory as a historical tidbit of high school education. 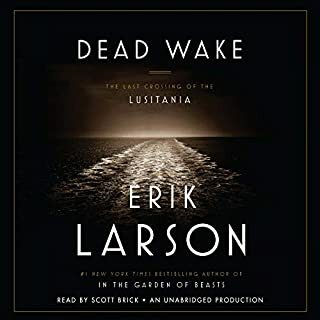 I had not listened to a Scott Brick narration prior to Dead Wake, but the man clearly has talent, I enjoyed the narration and would readily purchase other titles narrated by Scott Brick. Obviously the moments concerning the immediate sinking of the great ship Lusitania, and the panic engulfing the passengers and crew, the death, the destruction particularly moved my sense of empathy. Furthermore, the chapters post-sinking contain a great deal of sorrowful detail on the whereabouts or fate of the varying passengers. I found it particularly heart wrenching to hear stories of infants or small children, who no doubt found the situation terrifying and bewildering, many losing their lives or becoming temporarily or permanently orphaned. I have only one regret regarding this title, that I failed to purchase Erik Larson's work sooner! I've had The Devil in the White City, and In the Garden of Beasts... on my wish lists for some time, but did not purchase the titles out of some unknown reticence or the lure of other titles. Now, I will definitely purchase these titles and other past or future Larson works. He needs no compliment on his abilities beyond the many accolades he has already accrued, but the man has a ton of literary talent, I'm a fan. Would you listen to Inferno again? Why? I probably won't listen to Inferno again, although I found the first listen entertaining and memorable. Personally, this type of fiction is just a good escape and though I certainly don't share Robert Langdon's eidetic memory, mine functions quite well and will probably remember the story for a long time; so no need to reread, or in this case listen, to the book. What was one of the most memorable moments of Inferno? Without ruining the story for anyone, I enjoyed the vivid descriptions of St. Mark's Basilica! I enjoyed Paul Michael's reading of the story, he has a great voice. He brings a proper pronunciation of many Italian, Latin, and Turkish names that I would certainly mispronounce if left to my own reading. I did not, however, like the faked female voices and would have much preferred either a straight male voice reading of those parts, or a female actress. Personally, its a little weird hearing a man strain his voice to fake female tones. I plowed through this book in relatively little time, listening to it each chance I got which included a bunch of windshield time. I find Dan Brown books really entertaining if a little unbelievable at points. They always seem to refresh my memory on historical and archeological locations; which in turns peaks my interest and gets me reading actual non-fiction about the places, persons, and history touched on in the Dan Brown story. 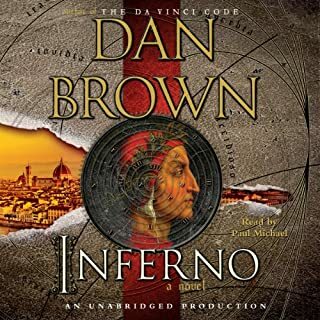 I enjoyed Inferno, its classic Dan Brown and I think it will make an interesting movie as well. In the heart of America, a metropolis is quietly destroying itself. Detroit, once the richest city in the nation, is now its poorest. Once the vanguard of America’s machine age - mass production, automobiles, and blue-collar jobs - Detroit is now America’s capital for unemployment, illiteracy, foreclosure, and dropouts. With the steel-eyed reportage that has become his trademark and the righteous indignation that only a native son can possess, journalist Charlie LeDuff sets out to uncover what has brought low this once-vibrant city, his city. Was Detroit worth the listening time? Detroit takes several story lines and weaves them together to give the reader a broad, but depressing, view of the largest bankrupt city in the world. 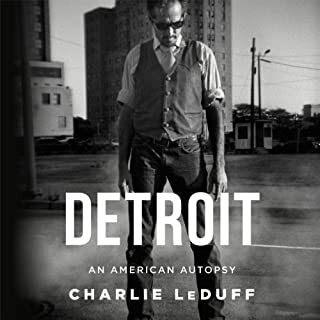 The book revolves around Charles LeDuff's family experiences in the city, with a healthy dose of stories mixed in from his days as a Detroit newspaper journalist. It definitely held my interest, the power, corruption, death, and inability of Detroiters to quit swirling the drain by backing the same policies over and over definitely makes for a gripping story. It tends to blend together sometimes, and you have to pay attention to the plot line carefully, but Detroit's an interesting read none the less. Chocked full of historical perspective. I would strive to make the first half of the book more entertaining. I found the first half a little dull; yes, packed with necessary information about causes, and relevant facts and vignettes that lead to the war, but dry none-the-less. Maybe my anticipation of learning insight about the strategy and tactics employed in the actual battles ruined my appreciation of the build-up in the book. Also, as a person unfamiliar with arabic names, I found it somewhat difficult to understand some of the pronunciations and found myself backtracking to avoid missing important facts. 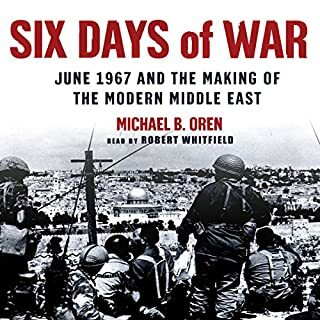 Overall though, a good book packed with a lot of interesting information about the Six Day War. If you could sum up Outliers in three words, what would they be? 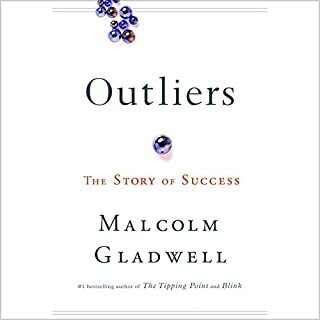 Outliers connects the dots on seemingly unrelated subjects and makes a convincing argument for the role that circumstances, luck, and advantages play in the success of popular, wealthy, and notable figures. Interesting and useful in a way, especially in regard to planning education and children's involvement in sports! Example: makes me want to hold back my young pre-kinder child instead of starting her early, for an explanation, read the book!